Our Bangkok Laundry pick up service makes living in a busy city like Bangkok just a little bit easier. You never again have to worry about getting your laundry or dry cleaning to the cleaners again. Living in Bangkok such as the Sukhumvit area without a private car is generally not a problem. There are many types of public transportation that can get you where you’re going with little hassle or inconvenience. But negotiating the crowds jostling to get on a bus or train or even waiting at the side of the road in a steady rain can begin to try your patience when your arms are full of Laundry or Dry cleaning that you need to deliver to your local cleaners. You have a busy life, career and a family that you’d like to see more of. You certainly don’t need to feel like a delivery person ferrying your laundry back and forth from your home, especially in the rain. This is exactly the reason that we came up with the business policies that would become the business model for DO4YOU. We realised when we established our business that our customers really shouldn’t be the ones ferrying their laundry and dry cleaning back and forth from their home. That’s a service that should be performed by us. The concept of ‘service’ seems to have been lost by a lot of companies in this day and age. Which means the company needs to concentrate on the bottom line, which is to cut their ‘services’ down to the bare minimum. But at DO4YOU, we disagree with this line of thinking. We see ourselves as a service company first and foremost. We offer 3 services at DO4YOU, house cleaning, dry cleaning and laundry services. At DO4YOU the first thing we did was put our heads together and think of what would make our customer’s lives easier. We realised that most people in Bangkok don’t have the use of a private car to use in running errands. They rely on public transportation to get where they’re going. The weather also plays a part in the convenience of getting around the city. A heavy rain can mean flooded streets and generally make traveling around Bangkok miserable, particularly when your arms are full of laundry you’re taking to be cleaned. So the concept of a laundry pickup and delivery service was obvious to us. We also wanted to make use of the latest smartphone technology to make things even easier for our customers to get in touch with us, schedule pickups and deliveries and pay for our services. We developed our DO4YOU app, which can be downloaded for free from the Google Play Store or Apple’s App Store. By simply tapping this app, you can schedule our Bangkok laundry pick ups, dry cleaning pickups and deliveries where you can pay for our services online by Debit/Credit Card. We also took note of the fact that many people work long hours. They’re often not at home during business hours. We simplified our pickup and delivery service even more to include the ability to pick up and deliver your laundry and dry cleaning to your building’s security desk. Other services we offer such as house cleaning can also be arrange by using this app, as most people don’t have time and is often too tired after work, we can make your house spotless in no time! 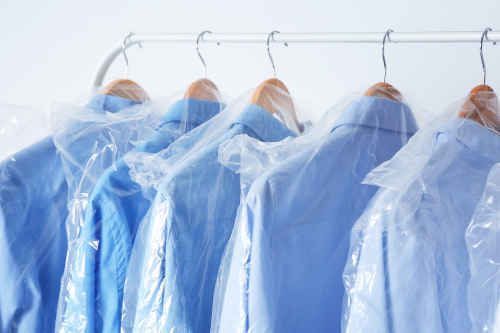 When we put all of our ideas into action and made the company policies, our customers were overjoyed at how simple and easy it was to have their laundry and dry cleaning done. No more slogging through the rain carrying a wet bundle of laundry. No more trying in vain to reach the dry cleaners before they close for the day. No more hauling laundry and dry cleaning on crowded public transportation. Our customers now have more time to spend with their families or pursuing activities they enjoy. They know that DO4YOU can pick up their laundry and dry cleaning within as little as 1 hour’s in advance notice and clean their home as well. They can have their laundry Washed-Dried-Folded and returned to them within 24 hours. Our customers have truly appreciated the free pickup and delivery we provide and it’s been shown in the amount of regular customers that enjoyed as a result. The high quality laundry and house services are simply the icing on the cake. We have brought laundry services into the new age with our smartphone app where you never have to even see us unless we pick up and deliver to your door. Experience our Bangkok house pick up services for unparalleled ease and efficiency. Download the DO4YOU App and get in touch with us today.